Love your blog, by the way. It's like a trip down memory lane. I definitely need to read this book! Cool, I love the pop culture laden 80s era memoirs. I'll have to check this out! Sounds great! A local theatre does this "80's Singalong" which I need to make time to do. Time to break out the aquanet. Tubular! Because we're roughly the same age, your blog means so much to me, especially because I'm a Pacific Northwesterner and you got to grow up in New York state, so the minor cultural differences are so interesting. Amy is awesome! I have loved all of her books. Whoever wins this copy will be in for a treat, but if you don't win it is definitely worth buying one for yourself. 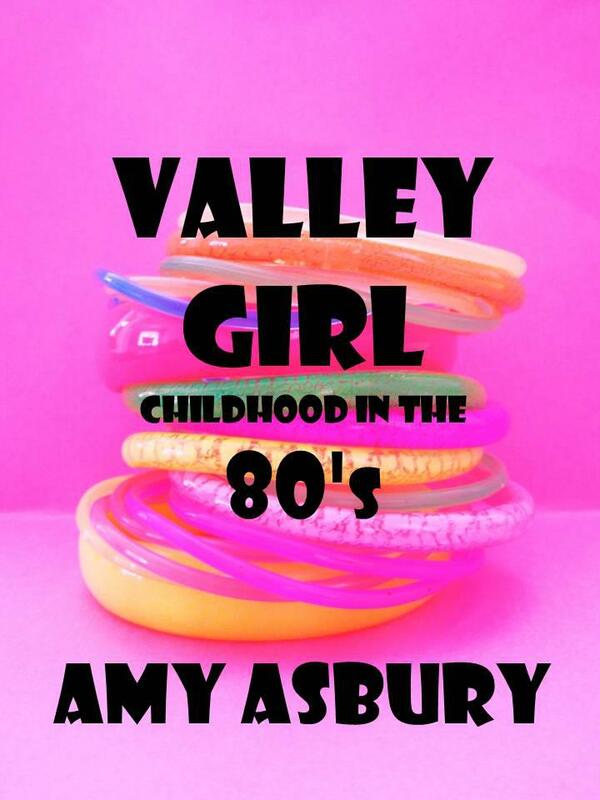 Having grown up in the 80's in Southern California, I would love to read this book! This book may become the go to birthday gift for some of my friends this year! I'd definately recommend reading all Amy Asbury's books. She's a talented writer that takes you back to a very different time. Not always the best times, but the honesty of her experiences keep you reading. You will both laugh & cry during her books and that's a true to life quality that keeps her endearing. I ready your Sunset Strip book and would love to read this too! holy crap this book is absolutely made for me!